It's the end of an era at the University of Pennsylvania as Bob Perelman retires at the end of this academic year. To celebrate his long and fruitful time here, the Kelly Writers House hosted a grand sendoff for the poet and scholar on April 10th of this year. Al Filreis started off the event, which featured tributes from colleagues, students (both current and former), and friends — many of whom came from far and wide (from New York City, Memphis, Montreal) — including Ron Silliman, Charles Bernstein, Kathy Lou Schultz, Sarah Arkebauer, Bruce Andrews, Kristen Gallagher, Dave Espy, Matt Hart, James Sherry, Amy Kaplan, Rachel DuPlessis, Greg Djanikian, Orchid Tierney, and Ariel Reznikoff. Aside from an overabundance of wonderful stories, memories, and toasts, the event also included the presentation of Memory is a Kind of Accomplishment, a tribute anthology edited by Tierney and Reznikoff with contributions from many of those gathered as well as friends from across Perelman's lifetime. The entire event, running more than three hours, is available in two video files (with accompanying MP3s), and Perelman's speech is broken out as its own short video. You can watch/listen on PennSound's Bob Perelman author page, where you'll also find a diverse archive of recordings from the late 1970s to the present. Today brought the exciting news that Alice Notley had been awarded the 2015 Ruth Lilly Poetry Prize by the Poetry Foundation. Poetry editor Don Share praised Notley, noting "In the true American vein, Alice Notley's work has created and nourished a line of deeply democratic work in poetry and prose that is as extensive as it is uncategorizable." He continues, "Her writing is fresh year after year in a career spanning four decades. Like Whitman, she is simultaneously one of a kind and a poet for each of us: an exemplary, humane, and ultimately essential writer." 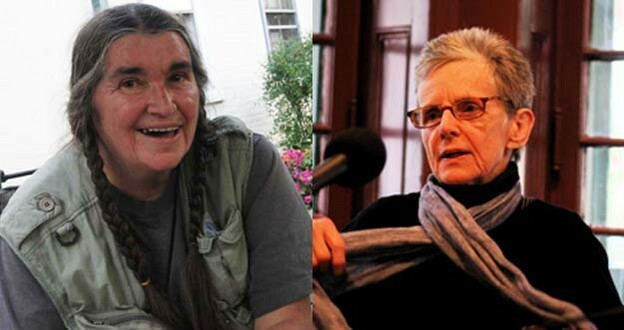 You can read more about this great honor and find links to special Poetry content assembled in Notley's honor here, and don't forget to pay a visit to PennSound's Alice Notley author page, which is home to recordings from the early 1970s (specifically, a 1971 reading in Bolinas, CA) up to the present era, including readings, talks, interviews, and more informal recordings. Howe: The two writers who, to me, it's almost as if they were your parents in literature, would be, I assume, Gertrude Stein and Nathaniel Hawthorne. Mayer: What a couple! I suppose I could talk about them at once and in the same way, in the sense that here all these sentences that were endlessly interesting to me, both of those completely, two completely different kinds of sentences, from which I could lay them out side by side and tell you how I learned to write by just observing the sentences of Gertrude Stein next to the sentences of Nathaniel Hawthorne. I feel an affinity to those writers beyond that, almost in a mystical sense — although it's "not okay" to talk about Gertrude Stein anymore, you know? She's too famous now. But we can still speak of Nathaniel Hawthorne. Howe: Do they continue to be important to you? Mayer: I must admit I can still go back to Hawthorne's works and learn a lot from them. I have ceased to be able to learn anything from Stein's works, but I think that in the future I probably will be able to again. Partly that's because my interests now are causing me to read writers like Milton and Chaucer, and all the old English writers whom I never read before. I find them about a hundred times more inspiring in a momentary way than I do Stein's work. Although, I must say, that Stein's work, whenever I go back to it, I find something new in there too. We're grateful to Michael Nardone for his hard work transcribing this interview. You can hear the original recording here. 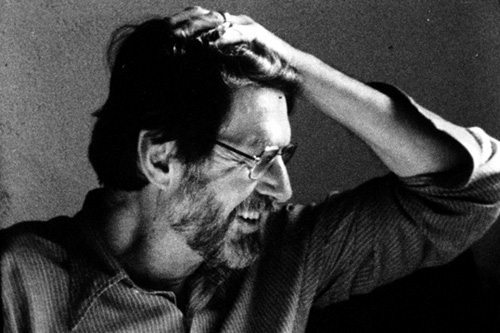 Our author page for the late and legendary Robert Creeley — largely the curatorial work of Steve McLaughlin — is truly a thing of beauty, bringing together more than half a century's worth of recordings, from a 1954 studio session at Black Mountain College to a 2005 reading at the CUE Art Foundation in New York City, recorded just a few months before the poet's death. Today we're highlighting a recent addition to that author page: newly-segmented tracks for Creeley's July 16, 1959 reading at the Poetry Center at San Francisco State University. The event itself lasted just over an hour and consisted of fifty-four individual poems, including "Hart Crane," "Le Fou," "The Crisis," "I Know a Man," "A Warning," "The Whip," "Just Friends," "Entre Nous," "The Names," "The End," "The Ball Game," "The Charm," "After Lorca," "For W.C.W." and many, many more. To start listening, click the title above. We wanted to make sure that our listeners didn't miss this spectacular reading from late February, organized in conjunction with the Louisville Conference on Literature and Culture Since 1900, which served as "a coming out party" for Lute & Drum: An Arts Quarterly. J. Peter Moore (managing editor) and Ken Taylor (contributing editor) were present to introduce the evening's readers — Fred Moten and Joseph Donahue — to an appreciative audience of friends, colleagues, and acquaintances made even more jovial through the intervention of some local Kentucky spirits. That intimate spirit is evident from the recording, interspersed with audience interjections, and the prevailing mood dovetails wonderfully with the readers' sets, which are filled with long opening comments and detailed introductions to individual poems, while Pete Moore's introductions are a thing of beauty. We'll look forward to hosting more recordings from Lute & Drum as they become available, and encourage our listeners to check out the journal as well. To listen to Moten and Donahue's sets, click on the title above. I was glad to see a classic recording from our Allen Ginsberg collection getting some recent attention, first via a post on the Allen Ginsberg Project blog, which was then picked up by the fine folks at City Lights this week. 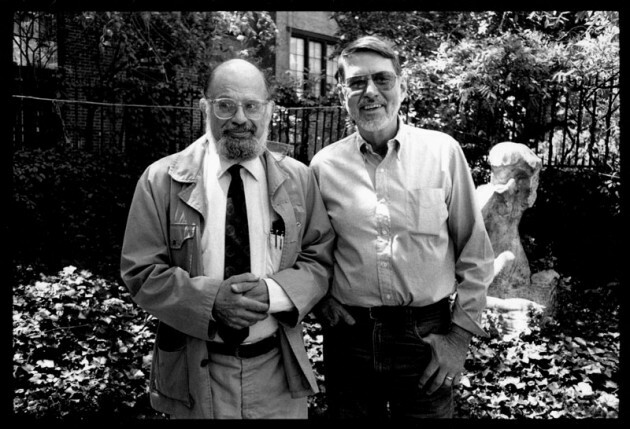 This twenty-eight minute set, which came from the tape archives of Robert Creeley features Ginsberg reading parts I, III, IV, and V of "Kaddish," along with "Back on Times Square, Dreaming of Times Square," the first part of "Laughing Gas," "My Sad Self (for Frank O'Hara)," and "To Aunt Rose," which would eventually appear in the volumes Kaddish and Other Poems (1961) and Reality Sandwiches (1963). When I first wrote up the new recordings for PennSound Daily in August 2009, I noted that "given the selection of poems, the background noises and Ginsberg's banter with Creeley between pieces, appears to have been recorded at the Creeleys' home in or around 1959." Sadly, Creeley made very few recordings of himself — though thankfully many others have — but his collection of recordings likely is second only to Paul Blackburn's in terms of its breadth and quality, and we're grateful to be able to share them with our listeners. Certainly this historic, intimate recording with Ginsberg deserves a second listen, and so do many others from his archives. 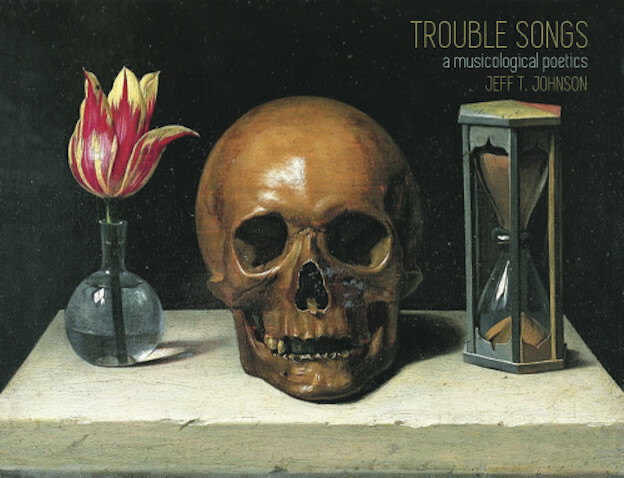 Trouble Songs: A Musicological Poetics is an investigation of the appearance of the word trouble in twentieth- and twenty-first-century music. It is a book-length project, comprised of three parts, each broken into modular chapters, or Trouble Songs, which build on one another as a series of albums, but are also intended as remixable and programmable singles. What follows is a compilation that spans those three parts. The project looks at the ways "trouble" signifies (and resists signifying) all kinds of trouble — from bad luck and disaffection to infidelity, impotence, destitution, and the specter of death. In doing so, it explores the role of the trouble singer, who performs a particular, nuanced role in the communities through which s/he (and/or the song) passes. The trouble singer can be imagined as a modern troubadour who sings not of courtly love, but of the modern (and postmodern) condition, and of all that ails singer and audience. I was incredibly excited when this project came in during our submission period, and found myself in the rare position — after reading the entire manuscript and Johnson's list of suggested sections to include — of advocating that we publish more than he'd recommended. I've really enjoyed living with this work as it's made its way through our editorial pipeline and am even more excited that a much wider readership will have the chance to read it. PoemTalk 88: Kathy Acker's "The Diseased" and "The Slave Trader"
Today, we launched the eighty-eighth program in the PoemTalk Podcast series, which addresses a pair of poems taken from the late Kathy Acker's novel, Blood and Guts in High School: "The Diseased" and "The Slave Trader." 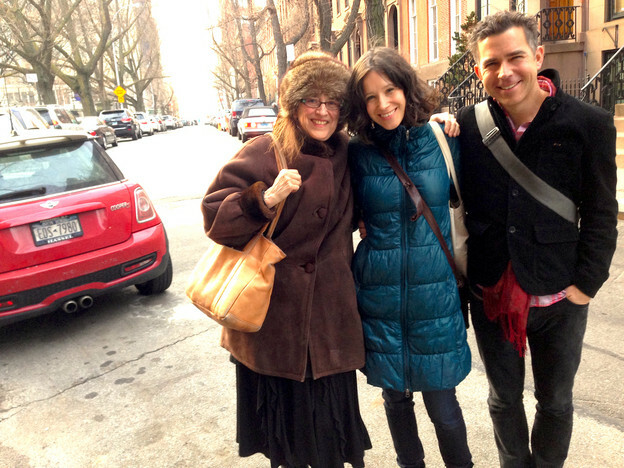 For this program, host Al Filreis was on the road in Greenwich Village, where he was joined by a panel of (from left to right) Maria Damon, Catherine Wagner, and Kaplan Harris. 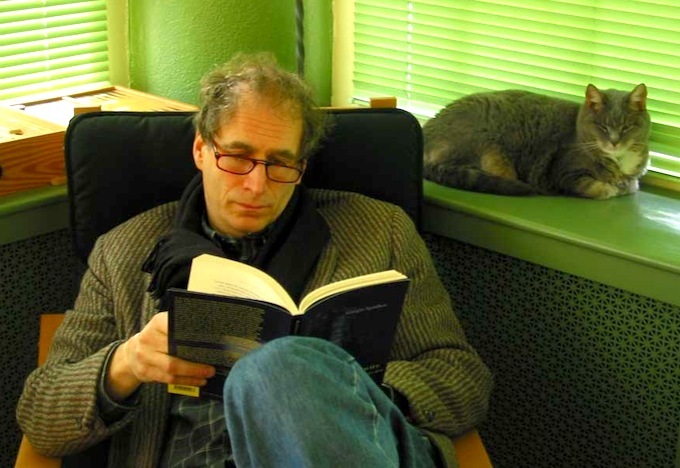 In his write-up on the PoemTalk blog, Filreis provides some context for the poems and the novel from which they're taken: "The book is more than a novel, of course, as we note. 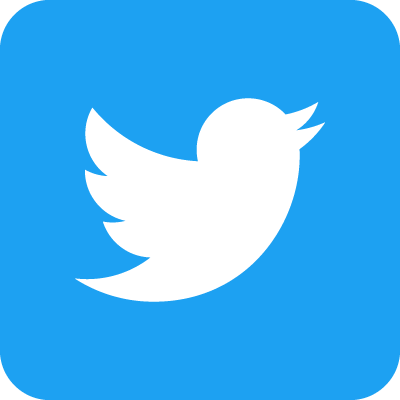 It is a mash-up of different genres, and at one point the group creates a long and even then incomplete list of the genres at work. Moreover, Acker invites us to wonder if she herself is a mash-up. The poems are translations of the love elegies of Sextus Propertius. They are at points so literal that Janey/Acker preserves the Latin word order in the English. Janey says elsewhere in Blood and Guts that translation is a crying out in response to pain. Janey has written a book report on Hawthorne's The Scarlet Letter and the text of the paper is included (of course) in the novel. It is, the group observes, a perfect summary of the text yet written in 'the monosyllabic, resentful, crude style' of the heretical proto-punk girl. Acker turns Hester into Janey and there you have it: the punkification of the sort of internal exile Hawthorne was exploring." 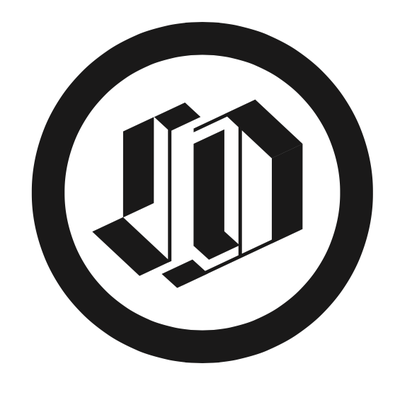 You can read more about the program on Jacket2. Poet Dennis Barone — professor of English and director of the American Studies Program at Saint Joseph College in West Hartford, Connecticut and a UPenn alumnus — recently stopped by the Wexler Studios at the Kelly Writers House to record a selection of poems from his latest collection, Sound/Hammer published by Quale Press is 2015. This sixty-seven minute set consists of a total of twenty poems from the volume, including "The New Harmony," "A Figure Half Seen," "West Philly," "Westerly Terrace," "Paper Air," "The Library," "Animal Rescue," "Penrod and Sam," "This Much I Know," "Cupola and Sink," and "Amsterdam." You can listen to the set on Barone's PennSound author page, where you can also find his contributions to the 2004 and 2006 MLA Offsite Readings, a 2004 reading at the Buttonwood Tree in Middletown, CT, two 2003 recordings from the Kelly Writers House — Kelly Writers House Podcast Series #5, and an Alumni Visitor Series Reading — and a 1991 Segue Series Reading at the Ear Inn. This week we launched PennSound Podcast #48, in which Brian Teare interviewed Rachel Zolf at the Wexler Studios. Zolf and Teare discussed Zolf's most recent book, Janey's Arcadia, which Teare described in his introduction to Zolf's reading at Temple University in November 2014 as a work that "situates us in a Canadian national history in which the ideology of nation building prescribes genocide for indigenous people, and enlists all its settler-subjects in the campaigns of conversion, dislocation, assimilation, and disappearance." Zolf created a film, a sound performance, and a number of polyvocal actions related to Janey's Arcadia and has written recently about the "mad affects" generated by the reading/audience event. You can listen to the complete interview here and read a transcript of their conversation — also published at Jacket2 under the title "Mobilizing Affects" — here.